Family Limted Partnerships in Pennsylvania Estate Planning. Some of the benefits of using the FLP include: maintaining management and control when gifting or selling business interests to family members, the ability to mentor the next generation of managers/owners, possible reduced values when making gifts so that you can gift more, asset protection for your heirs, ease of transfering varying percentage interests and more. For the latest on using Family Limited Partnerships in your business and estate planning including the pros and cons of FLP's, read my article and the NY Times article on FLP's (Family Limited Partnerships) and the IRS by clicking here. David M. Frees III practices almost exclusively in the areas of trusts, wills, estate planning, and asset protection. 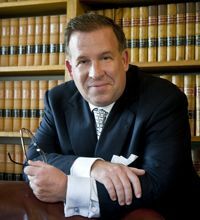 His practice serves families throughout the state of Pennsylvania with law offices located in Malvern, Phoenixville and West Chester. Many surrounding communities include Devon, Exton, Chester Springs, Wayne, Ardmore, Gladwyne, and Greater Philadelphia and The Main Line.